Most apps and software programs these days, especially those geared toward business operations and management, operate in the cloud. 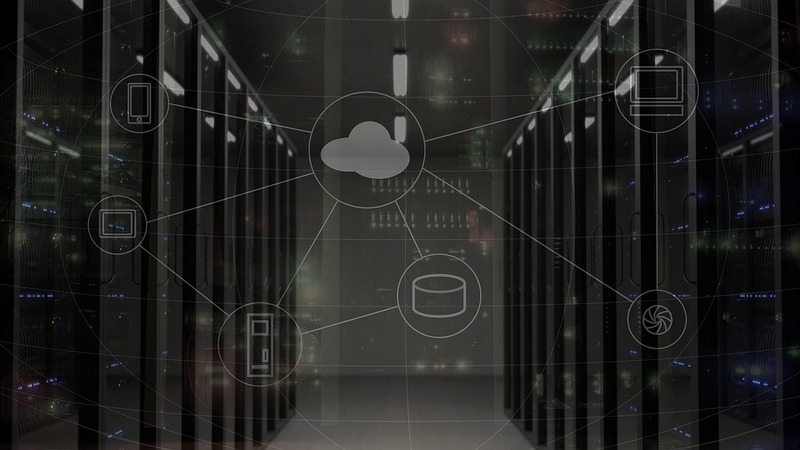 Cloud platforms have become overwhelmingly popular, but some businesses are still reluctant to make the transition, worrying that the new technology is unsafe, or failing to understand what the cloud really is. Fortunately, the cloud is much simpler than it’s made out to be, and its vulnerabilities can be easily managed and compensated for. The cloud seems more intimidating than it is because of the way it’s been pitched by engineers and salespeople. Though cloud computing actually does employ some breakthrough technology, the mechanics are relatively easy to understand. All the data you store and access through cloud computing is found in offsite servers—essentially, someone else’s computer. It isn’t being stored in the air around you, or in any mysterious way; the real differences here are its physical location and where you go to access it. 1. Vendor vulnerabilities. Because you’ll likely be outsourcing your cloud needs to a third-party vendor, you need to know if that vendor is secure enough to protect your data. There are many things that could go wrong here; for example, they could be hacked by a cybercriminal looking to exploit their data, they could be the victim of a DDoS attack, or they could even lose control of the system due to an employee’s simple mistake (if they have lax security standards). Most vendors will be willing to compensate you for any losses, but it’s still in your best interest to choose strong, historically reliable vendors for all your needs. 2. Credential theft. You’ll still rely on a username and password to access the cloud system you’re using. If someone’s able to get ahold of those credentials, they could gain access to all your information. This is less a vulnerability of the cloud architecture and more of a personal vulnerability, but it’s still important to address. You can mitigate your risk here by choosing strong passwords, changing them regularly, keeping them well-protected, and employing two-factor authentication when you can. 3. Insecure APIs. Oftentimes, you’ll need your cloud system to integrate with other apps and programs, employing an API to exchange information. If this API is insecure, it could lead to a hole that’s easy for outside observers to exploit—even if the cloud platform itself is highly secure. Be sure to check your API standards and both systems you plan to have communicate thoroughly before proceeding. 4. Employee mistakes. The vast majority of cyberattacks and security breaches are caused by human error. Accordingly, one of the biggest threats to your cloud platform is simply an employee making a mistake, such as choosing a weak password, falling for a phishing scheme, or misusing the platform in a way that makes it less secure. You can protect yourself against this vulnerability by hosting more employee education events, and encouraging your employees to follow best security practices at all times. The more up-to-date they are, the better they’re going to perform. 5. Nefarious employees. Though rare, it’s also possible that employees with nefarious intentions could manipulate or take advantage of your system from the inside. Again, this isn’t an inherent vulnerability of the cloud system, but instead is a natural vulnerability that comes with using the platform. There isn’t much you can do to protect against this threat, other than hiring employees you trust, keeping your user logins separate, and minimizing employee access to any information they don’t explicitly need for their jobs. If you pay attention to these possible security vulnerabilities, and find a way to compensate for them, you shouldn’t have any increase in your total risk by switching to the cloud. In fact, if you aren’t able to properly manage or control your own data centers, switching to the cloud can actually pose less of a risk. Consider your options carefully, and mitigate your risk as much as possible, no matter what options you choose.